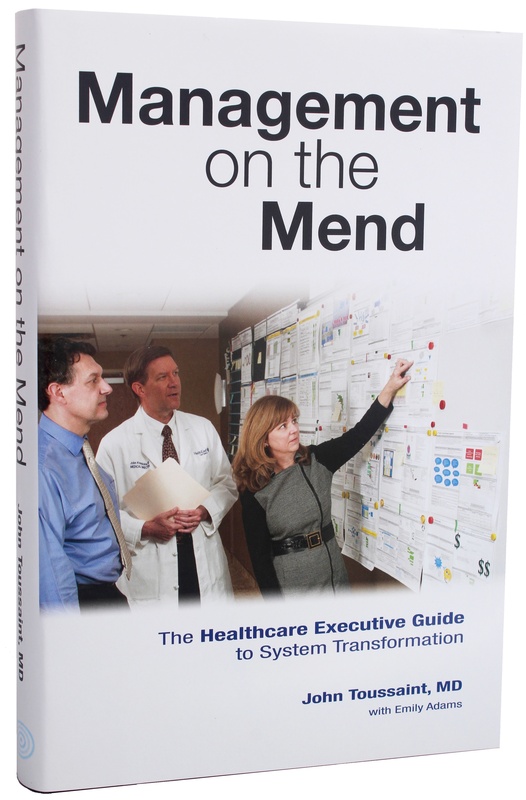 Management on the Mend: The Healthcare Executive Guide to System Transformation details a framework for lean transformation that shows leaders how to embrace a proven operating and management system. This framework empowers all frontline caregivers to practice medicine while finding and solving problems and empowers all managers and executives to support the work of the frontline caregivers. John Toussaint, MD, who in his seminal book On the Mend chronicled how a large cradle-to-grave health system revolutionized the way care is delivered, now addresses how healthcare organizations everywhere can successfully transition to lean healthcare, creating better value for patients while eliminating waste from the system. 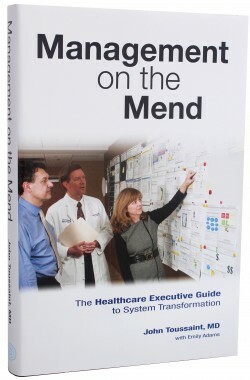 Reflecting the flaws and triumphs of the many dozens of healthcare organizations around the world the author has studied and assisted, Management on the Mend is the story of many journeys and one conclusion: lean healthcare is not only possible, it’s necessary. If you are looking to introduce principle-based leadership in your hospital, your leadership should read Management on the Mend. Dr. Toussaint’s work on lean transformation has been featured in the Wall Street Journal, Harvard Business Review, Health Affairs, and more. Management on the Mend is a supremely well-written, fast-moving, example-filled guide to transforming healthcare organizations. But the truth is the book should be required reading for any executive trying to radically improve the way his or her company operates. John Toussaint’s lessons are so cogent and so powerful they transcend any one field. Management on the Mend is a playbook for healthcare leaders seeking to transform their organizations. Drawing on the experiences of the most successful healthcare transformations to date, the book describes the ‘how’s and whys’ of the decisions required to achieve transformation. More important, it provides options that have been shown to work under different circumstances. A must- read for healthcare leaders concerned with delivering value based on cost, safety, and patient experience. Management on the Mend goes beyond the techniques and tools to provide a road map for transforming the entire organization. Concrete, rich examples are provided to help healthcare leaders create new organizations that can sustain consistent improvements in care on a daily basis. Essential reading for all who recognize the need to go beyond their own personal and their organization’s comfort zone. An honest, wise, practical, and inspiring book from a healthcare leader who lives what he teaches. This is a critical read for any healthcare leader who is contemplating his or her own lean journey and, frankly, for any healthcare executive who is trying to understand how he or she needs to position his or her organization for success in the future. In-depth story of lean healthcare transformation at ThedaCare.